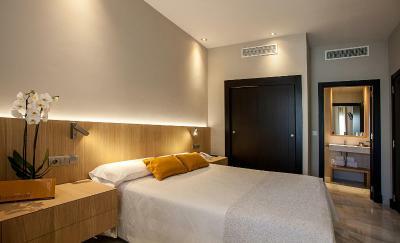 Lock in a great price for Hotel Barrameda – rated 9.2 by recent guests! 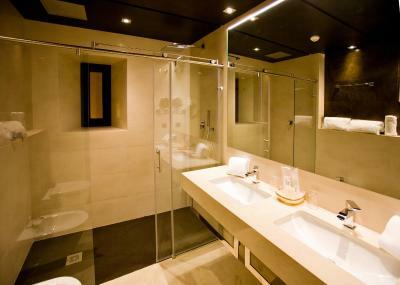 An elegant and clean hotel. Comfortable and spacious. Centrally located. Fantastic location with an oasis of great food within walking distance.. 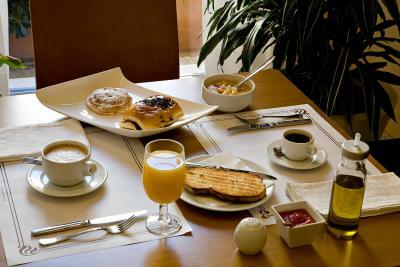 Very nice Spanish breakfast. Great Hospitality. 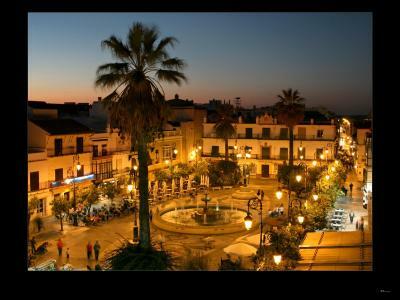 In the midle of the lively centre of San Lucar de Barrameda. 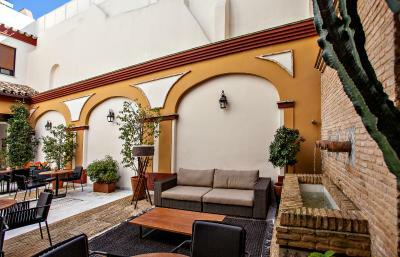 Great location just off the main plaza on a pedestrian street. Easy walk from car park. Close to many bars and restaurants and a 15min walk to the fish restaurants at the beach. Staff helpful and charming. Room clean and comfortable. Good bathroom. Very Classy, quiet, comfortable beds, and location. 25 countries on 5 continents, too many hotels, so We know what we enjoy; clean, quiet, comfortable, at a decent price...YOU hit the right spots. Great location, clean, modern, very pleased with our stay. Would book again! 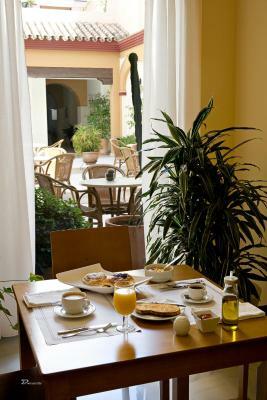 you can't get a better place to stay in this area - breakfast fantastic! As much fresh orange juice as you like :)! 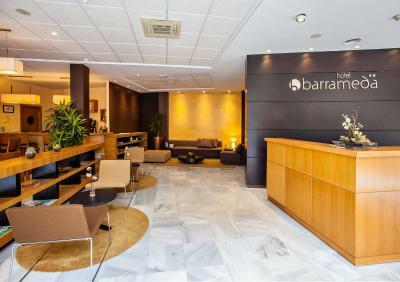 Hotel Barrameda This rating is a reflection of how the property compares to the industry standard when it comes to price, facilities and services available. It's based on a self-evaluation by the property. Use this rating to help choose your stay! 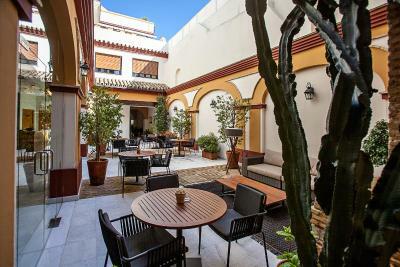 One of our top picks in Sanlúcar de Barrameda.Located in central Sanlúcar's Cabildo Square, this hotel has a fabulous sun terrace with stunning views over the historic center. 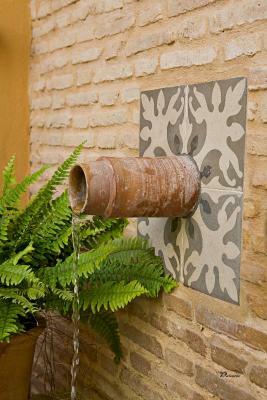 The building has a characteristic Andalusian courtyard with flowers and a fountain. Take the pleasant stroll through Sanlúcar to the beach where you can admire Atlantic Ocean views and have a refreshing swim. 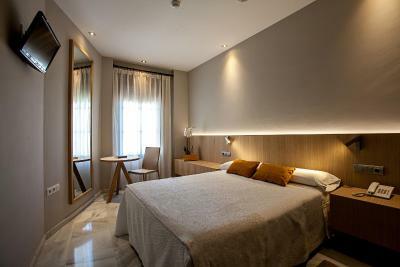 The Barrameda's rooms are decorated in an understated fashion and enjoy plenty of natural light. 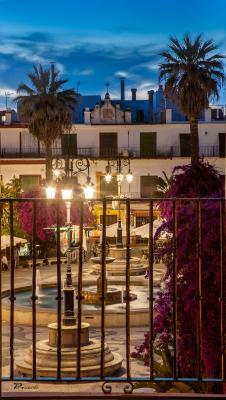 They all have free Wi-Fi and look over the city's main square or the pretty inner courtyard of the Barrameda. Begin the day well with the Barrameda's buffet breakfast. 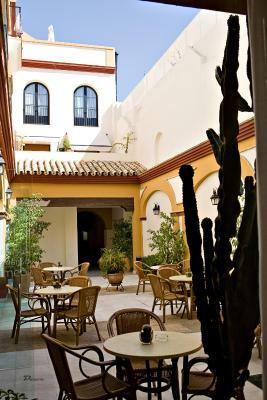 Hotel Barrameda organizes excursions and can provide picnics and packed lunches. 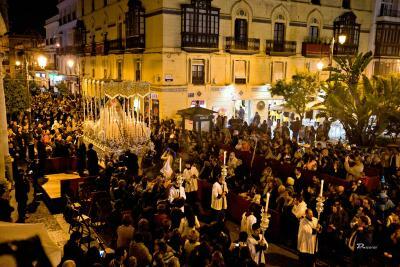 Staff at reception can provide information about what to see and do in Sanlúcar. A gluten-free breakfast menu is available upon request. 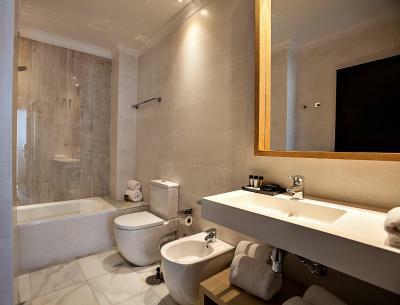 This is our guests' favorite part of Sanlúcar de Barrameda, according to independent reviews. This property also has one of the top-rated locations in Sanlúcar de Barrameda! Guests are happier about it compared to other properties in the area. 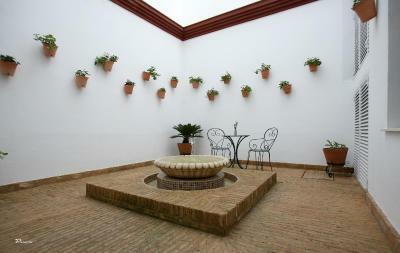 This property is also rated for the best value in Sanlúcar de Barrameda! Guests are getting more for their money when compared to other properties in this city. 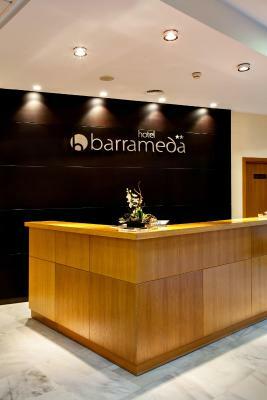 When would you like to stay at Hotel Barrameda? This air-conditioned room features free WiFi, a flat-screen TV with satellite channels, and a private bathroom. It offers views of an interior courtyard. 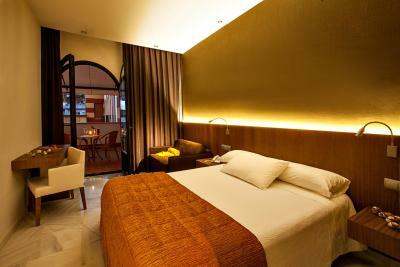 This air-conditioned room comes with free WiFi, a flat-screen TV with satellite channels, and a private bathroom. Some rooms offer views of an interior courtyard, while others overlook a street. 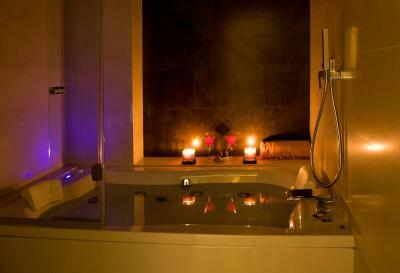 This more spacious air-conditioned room has a large spa bath. 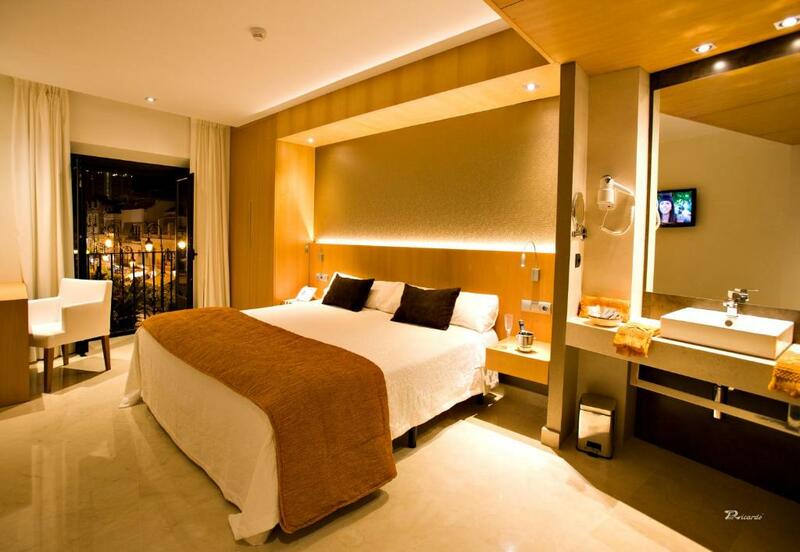 It comes with free WiFi, flat-screen TV with satellite channels, and a private bathroom. 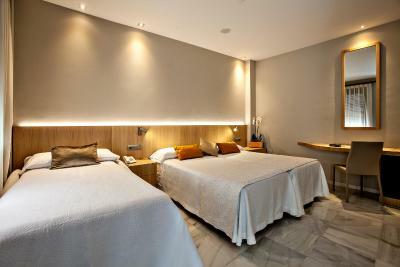 Some of these rooms also offer views of Plaza del Cabildo Square. 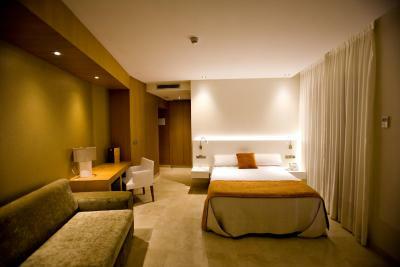 This air-conditioned room includes a flat-screen TV with satellite channels, free WiFi and a private bathroom. It offers views of an interior courtyard. 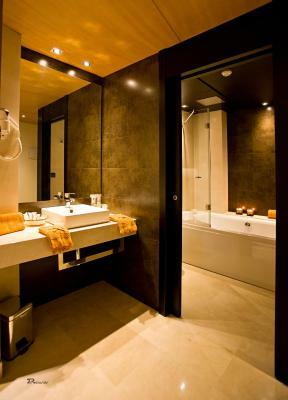 House Rules Hotel Barrameda takes special requests – add in the next step! All children under 16 years are charged EUR 17.40 per night for extra beds. 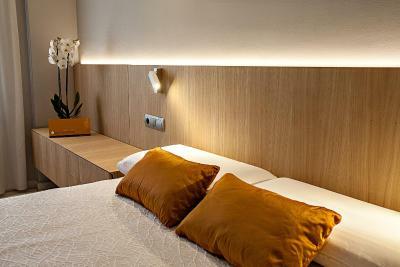 Any additional older children or adults are charged EUR 17.40 per night for extra beds. 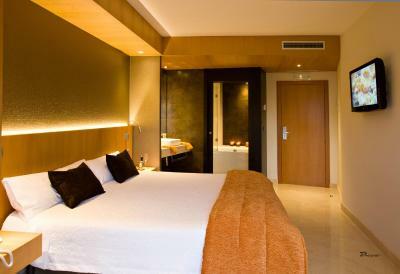 Hotel Barrameda accepts these cards and reserves the right to temporarily hold an amount prior to arrival. <please note private parking is available 650 feet from the property and is available on request. Please contact the property for more information. Pillows were not to our liking. One was too hard and the other too soft. 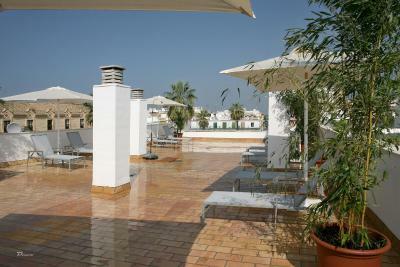 Wonderful position overlooking the Plaza and nicely decorated and appointed property with super staff. Stylish room, super clean, wonderful shower. Right in the centre and seeing as we arrived during carnival, it was remarkably quiet. Nothing! If I wished to be picky: the fact that we could hear the flushing of the bathroom of the room above but this was not by all means an issue just a soundproofing issue Secondly, I felt that bottled of water should have been made available . They have no parking at the hotel so you have to park at a location nearby. But they were so helpful and went with us to the parking. It's very narrow streets so you have to be ok with that and that you have to walk a few minutes back to the hotel. I think that's important to know for people who would not feel comfortable driving in narrow old town streets or have disability to walk back to hotel. If that's not something that bothers you don't hesitate to book here though because it's lovely. You could always not use their parking and park outside the old town. Also only a few minutes walk. The staff members were a really good friendly team. You could see they work well together and although sometimes some difficulties in communicating in English they were always friendly, smiley and helpful. We first were a bit afraid arriving in narrow streets next to a big square of restaurants but when you find the hotel, walking into the backyard it's like a little hidden charm. It's calm, clean, cozy. 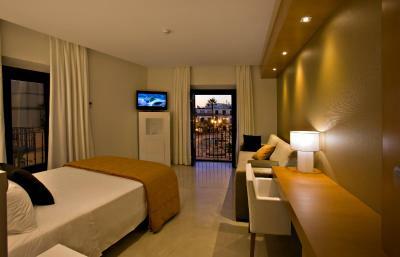 The rooms are small but well equipped, very clean with a little balcony. 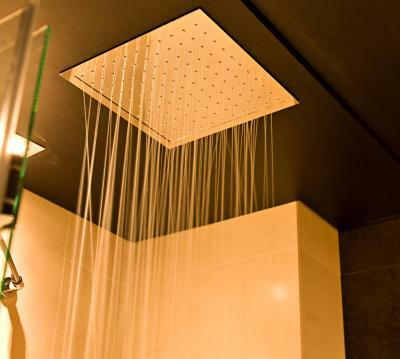 The rain shower is amazing. We choose a room facing the back yard and it was very silent at night. There are lots of restaurants around and you can walk easily to the sea side to enjoy the beach and sunset. Breakfast was one of the best on our two weeks trip in the south of Spain. Fresh fruits, nuts, great tea and coffee. We would stay here again if we travel again to the region. We had received a room with a balcony, but our room was without a balcony! The breakfast (6,5€) was very good. The staff was very helpfull.